I struggle to connect with certain holy women in history--those that lived their lives almost exclusively surrounded by other women within the walls of a convent. They write of their own shortcomings or their willful desires and passions, but the all-consuming passion for our Lord overcomes them. They spend hours in rapture in front of the Blessed Sacrament; their fellow cloistered sisters write memoirs of their faith that survive through the centuries; their zeal for being espoused to Christ and Christ alone drives their every prayer. I wrangle Amby during Mass. I'm lucky if I get to say an Anima Christi after receiving communion. I say one rosary from the kid-free sanctuary of my bed each night. Then I collapse. I have all-consuming passions too, but on a daily basis, they center mostly on Lysol and Dyson. My house: more mayhem than monastery. More chaos than contemplation. I know there are female saints who were married, had children and worked both inside and outside the home (St. Elizabeth of Hungary, St. Gianna Molla, St. Monica, St. Bridget of Sweden to name a few). 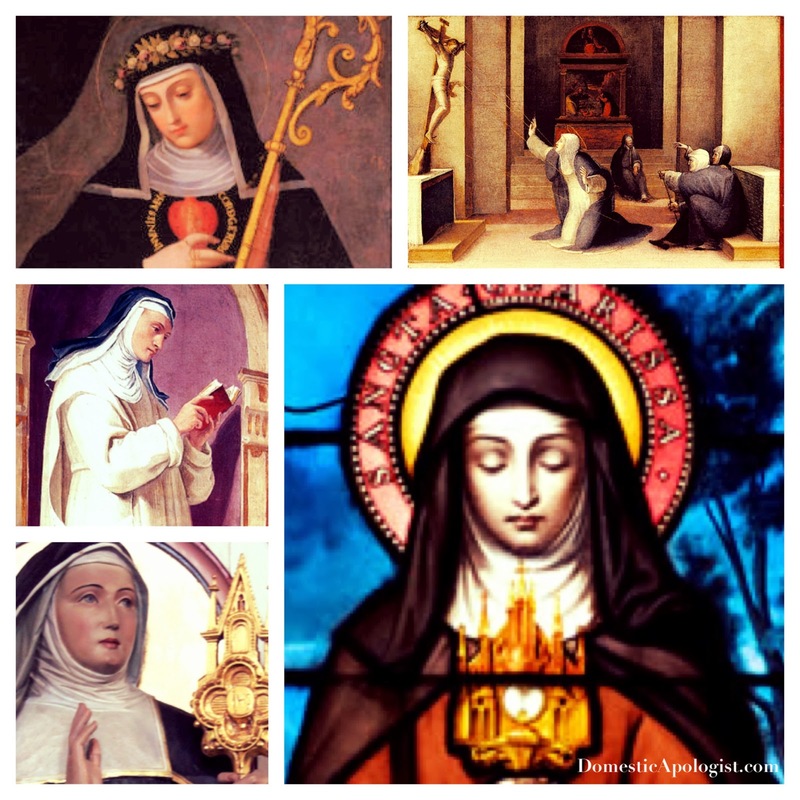 But I made it a personal challenge of mine this week to find some way to connect to these holy women who lived lives so practically different than my own. 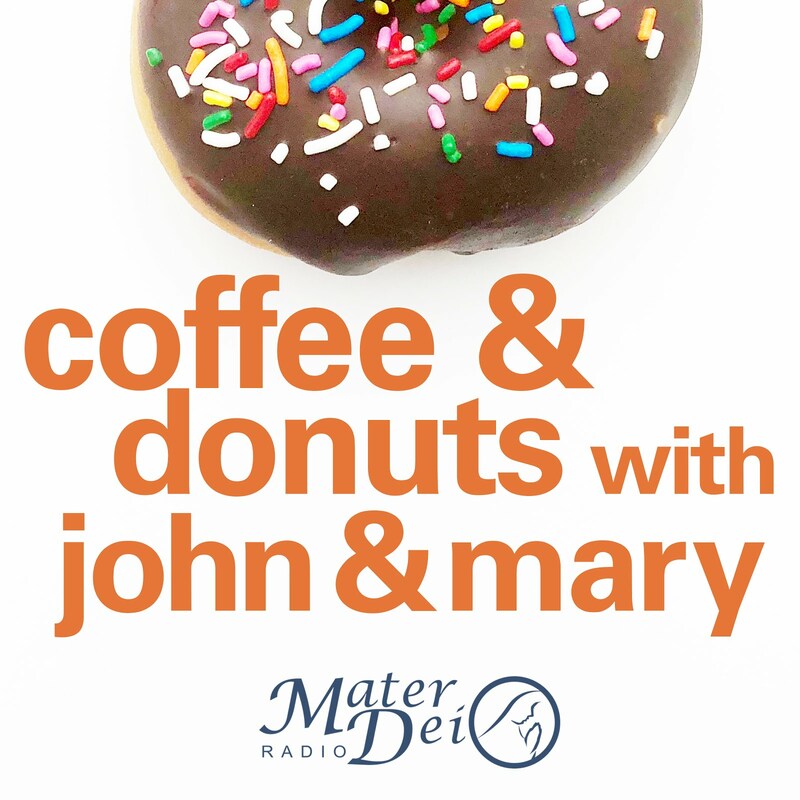 My answer for connecting to those holy women, who didn't have children or husbands, who didn't drive a station wagon to the grocery store each day, who didn't attend a novus ordo Mass or say the Luminous mysteries of the rosary, is Scripture. We both believe what we read--the Gospel. I'm going to read the New Testament for Lent. If I were to read it in Latin (and if I could read Latin), I'd probably get the closest I could to sharing their exact same experience. 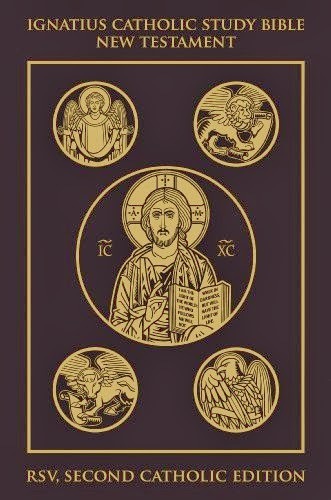 Instead I'm choosing the Ignatius Catholic Study Bible: New Testament as my guide. I don't think Curtis Mitch and Scott Hahn can steer me wrong. So Sts. Matilda and Juliana, Claire and Catherine, Gertrude and Hildegard, allow me to share a little of your lives, and a lot of what we both believe. I often find myself contemplated sainted women and thinking, "Perhaps I could do that to... if not this, if not that, if only this..." I absolutely can relate to your perspective. I think you have chosen such a wonderful Lenten work. I know that I am guilty of my bible staying on the my beside table for far too long untouched. You've given me something to contemplate as I consider my own Lenten journey. Thank you. The only reason I ordered the Ignatius Study Bible is that our large family Bible sits by our bed, quite untouched, and I knew I'd need something new to kick-start my Lent. :) Thank you for stopping by, and I pray we both have a blessed Lent. Great post, and seriously great idea for Lent! I started to read Mark last month, and slowly stopped for no reason. I may have to join you in this! 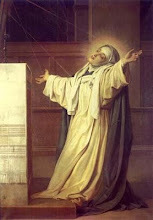 My favorite married saint is Frances of Rome. She was happily married for 40 years - I think that's a record for a married saint!